This will probably be my last post for awhile at FreshLoaf. The days are ticking away and before I know it I will be in a little town in southern France in the foot hills of the Maritime Alps. I will be starting a blog, and those of you who are so inclined will be able to follow my adventures in search of regional breads and their bakers, the trials of a Victory Garden, the building of a wood oven (I hope!) and daily life in a small mountain town. Now back to the Gerard's Pain Levain. 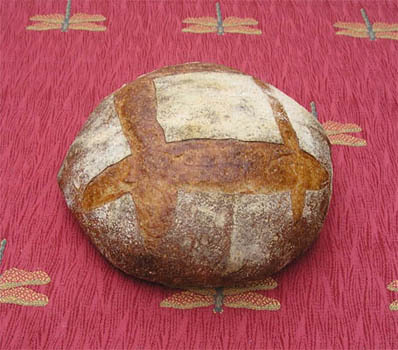 For this bake I have taken MC's thorough description of Levain "a la Gerard", Shiao Ping's and David's bake and tossed them all together and did what the dough wanted me to. The overall formula was not changed from the original posting. The Levain I have developed for the last several bakes is a little work horse. I have been using it quite a bit so it has remained strong and I have found it only requires a two-build process to triple in size, even with the addition of a pinch of salt. Throughout the whole process I maintained a warm environment for the beasties to flourish. I allowed one hour for a good autolyse at my ddt of 82*. A good gluten structure started to develop. The mixing was with a KA on low for the entire mix. To maintain the constant temperature of 82* I went as far as to preheat the mixing bowl with warm water. The air temp of my house is a chilly 64*. 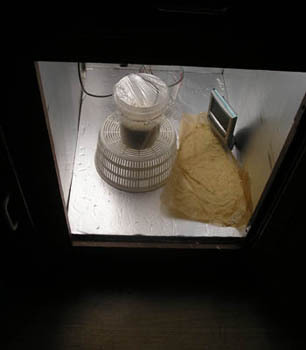 After the autolyse, I mixed for one minute, added diluted starter (with a small protion of the formula water) and salt, and mixed for an additional 2 minutes, then let it rest in a nice warm environment in the proofing cabinet. Two gentle folds were done an hour apart. The shaping was done with the mantra in mind of "GENTLE... and Deliberate" as shown on MC's great video. I was taken by something that Gerard said when shaping the batards, about moving the air in the dough around ... and that is what it felt like. 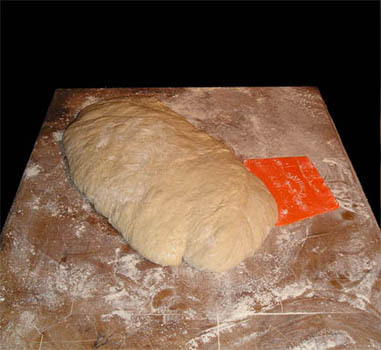 The dough was filled with air pockets that you could actually redistribute. 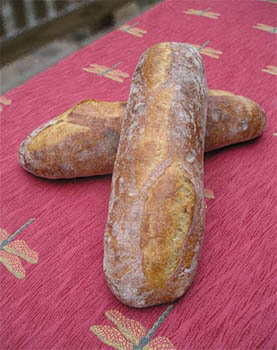 I need some more practice controlling the batard with wet dough. 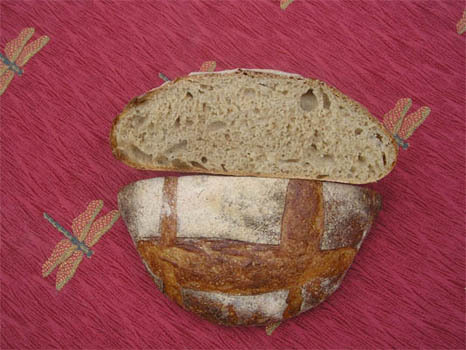 The crumb has a nutty,creamy and very, very mild sourdough taste was detectable. I was very surprised with the crust of this bread the last two bakes. I think by not retarding the shaped loaves, it developed a crust that was a thin as an egg shell. Have a safe journey. I hope you will keep a presence on TFL while in France and share your adventures. If you had take one book which one would it be? Maybe two books..... Did you experience a thin crust on your last bake? Hmmmm ... No. Maybe my MacBook Pro? No. That doesn't count. Bread books? 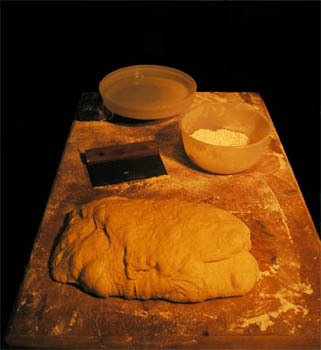 Hamelman's "Bread," without a doubt. Yes. My crust was on the thin side, but not super thin. Looking forward to hearing about your journey! 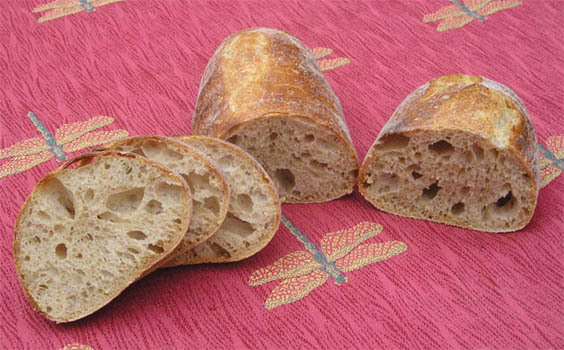 Beautiful loaves and great crumb too. I am puzzled as to why my crumb turns out darker than everybody else. Have a safe trip to France and keep us posted on your French baking adventures. KA white whole wheat....I hate to admit it...but I am not a big fan of WW in large doses. I have never used spelt flour before...I really like the flavor that it gives to the bread....I think the beasties really like it to! ...are truly phenomenal, Judd! The thin and crisp crust must be to die for and their crumb looks perfect. Congratulations! I can't wait to read about the trip and to follow your adventures in my other country. 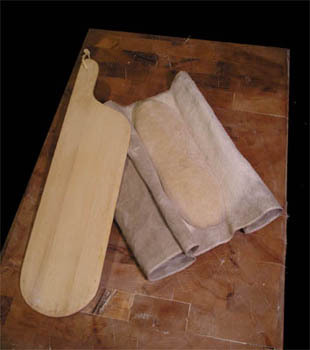 to make batards! I got the name Captain Batard when I took the advanced class at KA from another student...all I wanted to do was shape batards. I found in my recent bakes that the Miche stays fresh and moist for along time...the crumb is amazing. The batards have to be eaten within a day. I think the next time I am going to make the batards more like ovals. I can't believe I will in your country soon!